Take a tiny humanoid robot with two arms and a camera where its head should be and place it inside a person’s body through a small incision. Then have a surgeon anywhere in the world don a virtual reality system, connected to the robot. The setup lets the surgeon “see” what the robot sees — and controls its arms by moving their own. The goal, co-founder Adam Sachs told TechCrunch, is to make the surgeon feel “as if they’d been shrunk down” — and the company now has an additional $10 million in funding to help it reach that goal. On Thursday, Vicarious Surgical announced that it had closed a $10 million round of funding led by Bill Gates’ Gates Frontier. The company will use this money to continue to develop its technology combining surgical robots and VR. 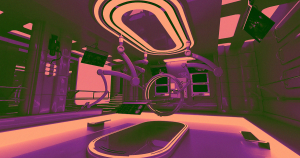 Once the surgical robotics company meets its goal of effectively “shrinking” doctors and placing them virtually within patients’ bodies, the next step will be seeing how it can use the tech to improve healthcare in remote areas.